Many sociologists are fully aware of how stress can affect one’s mental health. In fact, the procedures of stress have already been broken down by the experts. This is in order to provide a better detail on how stress occurs. The so-called stress process is made of three key factors. The source of it? A mediator of the stress and its manifestations. TMS Health wishes to provide stress awareness for everyone. Learn how stress completely works and how it can affect your mental health in the long run. That is if too much stress accumulates in the body. 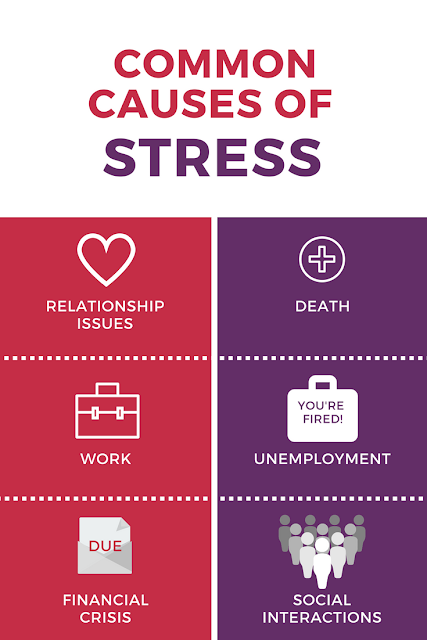 This is a great reminder that stress can be alleviated and controlled for a better life. Through the means of their knowledge and their signature TMS Therapy. Breakups and times where a partner gets caught cheating and its resulting aftermaths can be a great contributor to stress. Divorce is also a known cause of high levels of stress. Death of a loved one is truly a heartbreaking event. The sudden death of a loved one can also be a cause of high levels of stress. Also, the impact it can give to one’s mind may even result in clinical depression. But take note that other causes of death such as dying of old age may be a factor that may not cause a severely high level of stress. Stress levels may increase depending on how much a person enjoys their work, or if they feel more pressured in going to the office. The level of stress may vary depending on the load of work as well. Getting unemployed for a long time, the frustration of getting rejected at work, and getting fired can cause even higher levels of stress than dealing with a bunch of work. Getting your bills paid can be a very stressful issue if you have a very low amount of money left on your wallet. Debt is also known to be extremely stressful to the point where other people don’t even eat anymore. Certain issues such as bullying, getting framed for a case, being threatened by somebody. Additionally, getting scolded, and/or dealing with stressful people are some of those stress-inducing social interactions. Some of these interactions are also a root cause of clinical depression, particularly bullying. Social group differences can cause stress in one or more people within the said group. You may also call these happenings “chronic stressors” due to the fact that they usually cause stress on your mind. These are chronic enough to cause a long-term impact on the mental health of a person. This is exactly the main reason why some of the chronic stressors mentioned above are bad enough to develop clinical depression for some people. Gladly, the experts at TMS Health are making sure that they will promote innovative therapy through the means of their own research. The experts at TMS Health are observing the various impacts of the chronic stressors. Not only on one’s mental state but also on the overall well-being of their minds. Social interactions were considered as the most severe inducer of stress, with responsibilities related to household being one of the most common inducers. This shows that one’s social condition can be a great inducer of stress that can affect one’s mental health in the long run if not maintained properly. After all, we live in a society where being socially skilled is a requirement for one’s success in life. Thus, it gives people the pressure to do things in life even if they don’t want to – leading to stress. Researchers also claimed that bad quality of neighborhoods can induce stress to children already. For example, communities for low-income people and high unemployment rates. These facts are enough for everyone to become wary of stress and how it can impact the mental health of both adults and children. Stress should never be dismissed. Let this stress awareness for everyone help us live a better world. That’s why innovative therapy through the means of TMS Therapy will be guaranteed to alleviate stress away or control it for one’s own psychological well-being. After all, we need to have a clear mind in order to do the right actions that can make our lives better, if not successful.